Providing accessibility for all people, regardless of physical challenges, disabilities or age is an ongoing high priority for the local community, and as a result, the City of Eugene has received national recognition for their inclusive measures. The National Americans with Disabilities Oregon Celebration Committee named the City of Eugene "the most accessible city in the USA" in 1997. In 2003, Eugene was recognized by the National Organization of Disability as a finalist for the Accessible America Award. 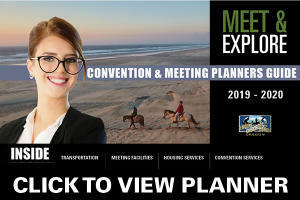 Knowing how important this is to you as well, we are committed to making it easy for you to plan fully-inclusive meetings for all your participants. 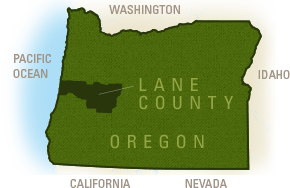 Oregon&apos;s Community Access Survey Team (CAST), a program of Lane Independent Living Alliance (LILA) under a Tourism Special Project Grant from Lane County, completed an accessibility survey for numerous Eugene - Springfield area lodging properties. Property listings include information on a number of accessibility features, including parking, elevator access, door clearances and more. Lane Transit District&apos;s (LTD) public transportation system serves the greater Eugene area. All routes are accessible and all buses are lift-equipped. Also offered is the RideSource program, a curb-to-curb transportation service for people with eligible disabilities. The City of Eugene owns two wheelchair lift-equipped 15-passenger para-transit vans. The City of Eugene Adaptive Recreation Services Department has provided services to persons with disabilities since 1969. The Hilyard Community Center exceeds ADA requirements and offers event space free of charge to groups focusing on inclusion. The Spencer Butte Challenge Course, one of few ropes courses with accessible elements, is available for use by people with disabilities and facilitators with disabilities. Salt Creek Falls, located on Highway 58 near Oakridge, offers a wheelchair-accessible viewing platform of the 286-foot waterfall, the second highest waterfall in Oregon. Look here for additional accessible recreation suggestions. For additional information on hosting inclusive meetings, watch this DMAI empowerMINT webinar presented by our own local accessibility experts, Andy Fernandez, Senior/Adult and Adaptive Recreation Services Section Manager with the City of Eugene, and Janis Ross, Vice President of Convention and Sports Marketing for Travel Lane County.